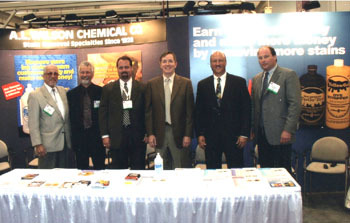 A. L. Wilson Chemical Company is a family business that designs, manufactures and markets high performance products for removing stains from textiles. Fred Schwarzmann, the company’s President, is Wilson’s third generation owner/manager. Wilson Stain Removers are found in laundries and drycleaners throughout the world.